The new museum complex has been in the making for decades under various designs by several architecture firms; the current proposal represents the third design put forth by the Culver City-based architects. 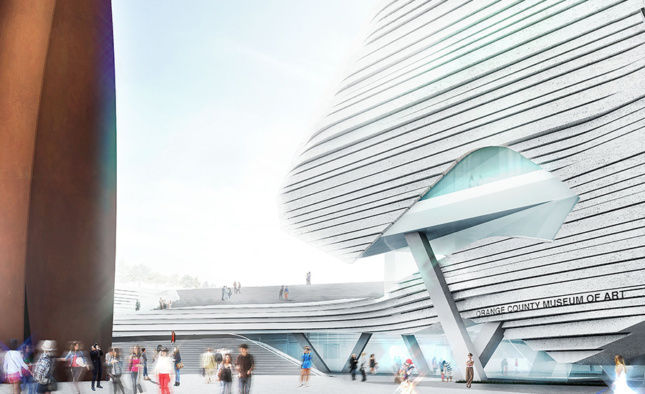 The Morphosis-designed proposal, once built, will increase exhibition space at OCMA by 50 percent, compared with the museum’s current location, according to the Los Angeles Times. 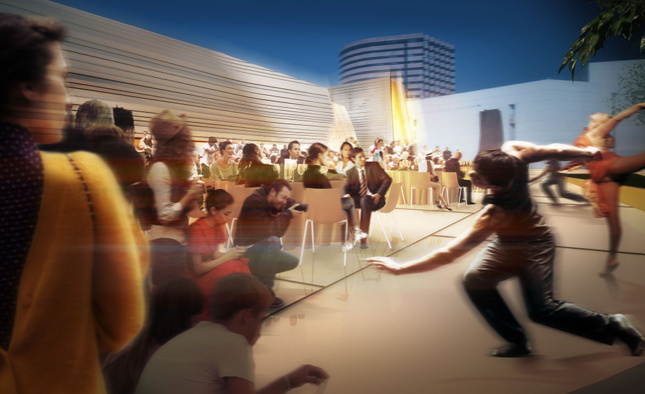 Plans call for the complex to include: 25,000 square feet of dedicated exhibition space, 10,000 square feet of multipurpose, educational, and performances spaces, and a sculpture terrace with capacity for 1,000 occupants. 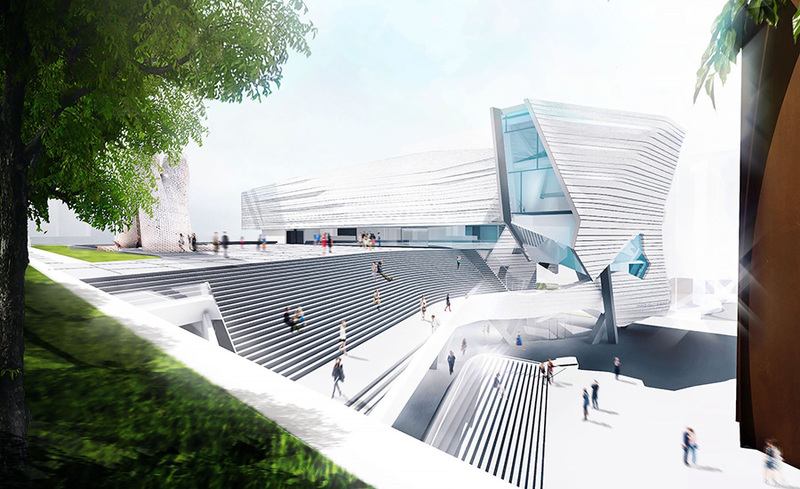 The proposal aims to stitch together an existing cultural campus in the Pacific Ocean-adjacent enclave that already contains a concert hall and repertory among other uses by activating and extending a grand pedestrian plaza located on the site with a monumental staircase inspired by the steps at the Metropolitan Museum of Art in New York, according to Thom Mayne, principal and founder of Morphosis. The museum, tucked into a hillside beside the staircase, would connect a lower plaza marked by a vertically oriented, Richard Serra-designed sculpture with the new sculpture plaza located atop the stairs. The upper plaza will hold another large sculptural element, according to the renderings. A linear tree promenade will extend horizontally from the upper plaza over the southern edge of the site, cantilevering over ground floor areas. Under the current proposal, roughly 70 percent of the site will be left open or contain public outdoor spaces. Inside the complex, a variety of multi-functional public spaces like a public amphitheater and flexible gallery spaces will invite the public into the building. Renderings of these spaces depict multi-story volumes framed in glass and striated paneling, with sky-bridges and monumental stairs carving through many of the spaces. The striated, shape-shifting structure will among be the final components of the arts complex in the city and is being planned with a future 10,000-square-foot expansion in mind. As such, its design will reflect the urban nature of the complex site, according to the designers. Plans call for OCMA to vacate its existing facilities this fall, with temporary facilities opening in 2019 nearby. Construction on the new museum is slated to begin in 2019 with the complex expected to be complete by 2021.